It’s a flimsy! 58 x 80. You may recognize Lotto blocks — the Dresden Sunflowers are obvious, but can you find the California Poppies? (I had four of them. I sliced them diagonally to make square-in-a-square frames for the purple tree and the basket.) 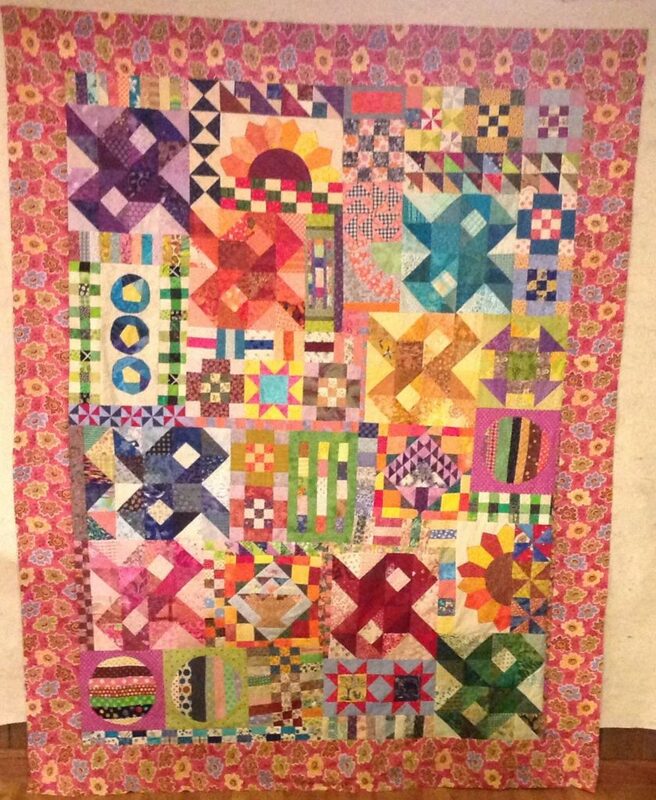 My recipe for Spare Parts quilts: Put blocks on design wall. Let them simmer. Stir. Sew a few together. Rip a little. Repeat. Eventually they gel into a quilt. This is beautiful. I love everything about it! This is beautiful. I love everything about it! I need to go check out my extra stuff.